The first intercollegiate Ultimate Frisbee game played by Carleton was against the University of Minnesota Ultimatoes on Bell Field in the fall of 1977. Starting that spring, Carleton began playing other midwestern schools at various tournaments. Originally named the Carleton Ultimate Team, the team name was changed in 1979 to the Frisbee Union of Carleton Knights. In 1984, the name was changed back to the Carleton Ultimate Team, and now goes by the nationally recognized acronym CUT. 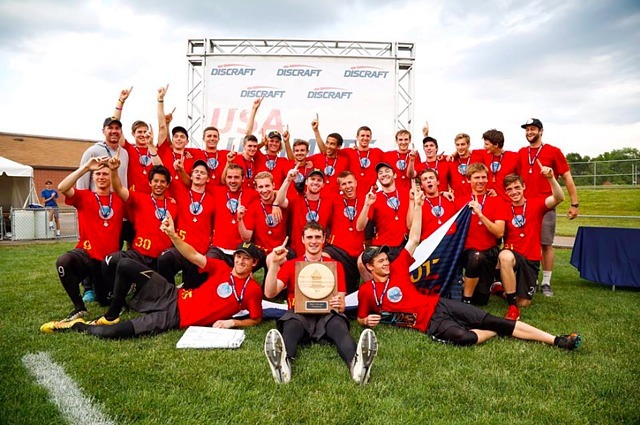 Since the early years, CUT has steadily risen to become one of the nation's most dominant teams in college ultimate. CUT qualified for nationals for the first time in 1990, and began the longest unbroken streak of nationals appearances in college history. CUT competes at the highest level of college ultimate, attending highly competitive college tournaments at various locations around the United States in preparation for the National Championships in late May. Since 1990, CUT has appeared in the semifinals 16 times, has made it to the finals 7 times, and has brought 4 national championships home to Northfield — in 2001, 2009, 2011, and 2017. CUT represents one of the greatest dynasties in college ultimate. CUT players have the privilege of playing ultimate at the highest level of the college game, receiving an excellent education at one of the nation's top liberal arts colleges, and becoming part of a tightly knit group of motivated, fun individuals. Playing for CUT is intense, physically demanding, and incredibly rewarding. CUT is a brotherhood, supported by a huge network of alumni, parents, and fans. Follow CUT on Twitter and Facebook.